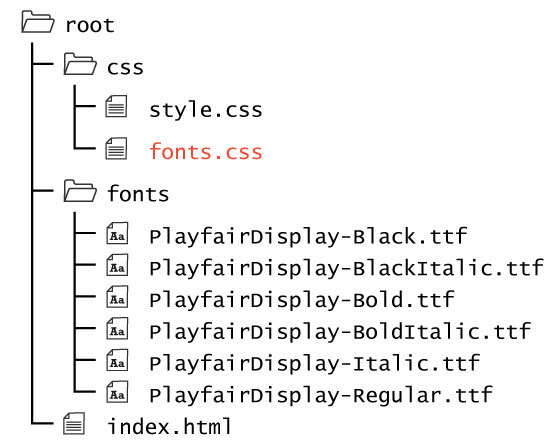 Many developers will move the font import statements into their own CSS file, fonts.css. These allows the main CSS file to be cleaner in appearance. If you plan on doing a lot with fonts, you should have a separate fonts.css in your /css directory, to separate site styling from font styling. IMPORTANT: The fonts.css file should be linked before the style.css file in <head> of any HTML page. This is important in allowing the latter file to ‘see’ the fonts.